I've been using PictShare for a long time (long before I moved it to HTTPS) and I even use it in this blog to embed pictures in posts. Are images embedded with HTTP links also forced to HTTPS? What's in the log files? Interesting.. it seems the browser is requesting the unencrypted image, then realizes the redirects and then loads the HTTPS image. 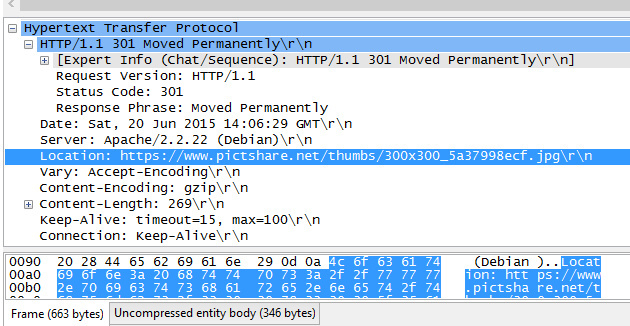 Later with tcpdump we'll check if the image really is transferred two times. To test this I made a simple HTML file and uploaded it to one of my webservers. What does that mean in terms of security?